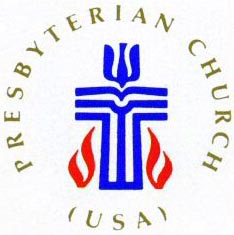 Our name,”Presbyterian,” is rooted in the Greek word presbuteros, which means “elder.” This etymology defines our system of church government, structured around a group of elders elected by the congregation—the same system of government upon which our country’s democratic philosophies were founded. As Protestant Christians, we accept the authority of the Scriptures, both Old and New Testament, and profess our faith in God, who is known to us as the Holy Trinity of the Father, the Son, and the Holy Spirit. Our faith has been especially influenced by the Protestant Reformation, specifically by leaders such as John Calvin and John Knox. We strongly believe in the key elements of the Protestant Reformation: salvation through faith in Jesus Christ alone, the authority of the Bible for faith and life, and our individual duty to be a minister of Christ at all times and in all places. It is up to each individual to determine how to apply these principles in his or her own life. Above all else it is our mission to share the love of God through Jesus Christ through word and deed. Presbyterians spread the love of God throughout the world by emphasizing the need for worship, developing new churches, and by fostering mission activities. We respond to disaster situations, minister to the sick and the needy, and educate new generations of Christian men and women to continue our legacy of service to God and the community.